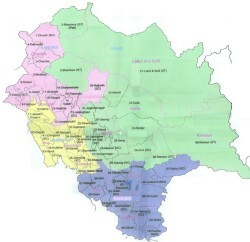 Shimla: The Himachal Pradesh Cabinet in its meeting today decided to fill over 600 vacancies in various department of the state government. The Himachal Cabinet, presided by Chief Minister Virbhadra Singh,gave its approval to fill up 100 vacant posts of Ayurvedic Pharmacists on contract basis in Ayurveda Department, besides filling up three posts of Professors in Ayurveda College Paprola. The Cabinet has given its approval to fill up 71 posts of Horticulture Development Officers on contract basis through H.P. Public Service Commission as per existing R& P Rules and also approved to fill 75 posts of Horticulture Extension Officers. It also approved to create one post of Principal Scientific Officer by upgrading post of Senior Scientific Officer in the State Pollution Control Board. It also decided to fill up 200 posts of Junior Office Assistant (IT) on contract basis in Higher Education Department, besides creation of posts of State Project Directorate of RUSA. The Cabinet gave its approval to fill up 35 posts of Clerks on regular basis from Limited Direct Recruitment (LDR) quota as well as 70 posts of Junior Office Assistant (IT) on contract basis in IPH Department. It also decided to fill up the post of PET and DPE in Plus Two School for Institute for children with Special Abilities (Boys) Dhalli Shimla. Cabinet decided to create a new IPH Division at Nagrota Bagwan as well as a new IPH Sub Division at Tanda in district Kangra along with creation of different posts of categories. The Cabinet also decided to fill 10 vacant posts of clerks from Home Guards volunteers in Civil Defence and Fire Services Department. It was decided to fill up various 54 posts for smooth functional of Panchayati Raj Department through direct recruitment. 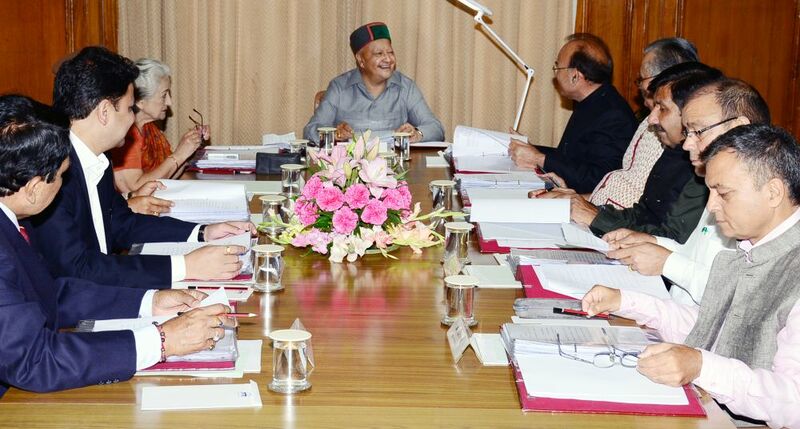 The Himachal Cabinet gave its nod to create different category of posts (Information and Technology) in newly created Sub-Division Election Offices at Jawalamukhi, Dharampur, Mandi (Rural), Sujanpur and Shilai. It decided for selection and imparting training to 242 candidates in order to fill up vacant posts of Patwaris in Settlement wing of Revenue department besides engaging retired Patwari/Kanungos on contract basis in the interim period to tide over the vacancy position till the availability of trained Patwari. Further it also approved creation and filling of multipurpose workers in each Patwar circle of each district on part time basis. 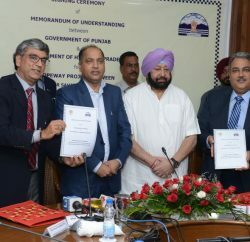 The Cabinet also decided to upgrade Police Post at Khundian to Police Station and start four new Police Posts at Jol under Police Station Bangana, Dadasiba under Police Station Dehra, Jangla under Police Station Chirgaon and Majheen under Police Station Khundian and to also create 46 posts of different categories therein. Approval was given to fill up 20 vacant posts of Sub Inspectors by direct recruitment in Police Department.